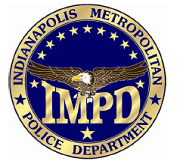 ATF is offering a $5,000 reward in the arson fire of an Indianapolis Metropolitan Police officer’s home on Sept. 20. Authorities say someone set fire to the home shortly after 1 a.m. on Chateaugay Drive while the officer and his family were inside. All escaped unharmed. The home was destroyed and damages were in excess of $100,000, ATF said. “This act of violence endangered a police officer and his family. Thankfully no one was injured by this cowardly violent act,” Chris Sadowski, special agent in charge of the ATF office in Columbus, Ohio said in a statement. Posted: 10/12/10 at 8:30 AM under News Story.